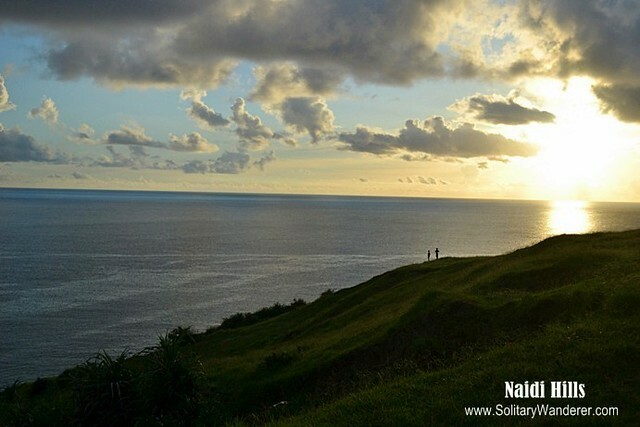 The first time I saw pictures of Batanes, I couldn’t believe my eyes. Did such a place really exist? Weren’t the pictures edited? It couldn’t be possible that such verdant, rolling hills really existed, or that people really were so honest that mini-stores remained untended. But Batanes really was like that, and I found out, years later, that it still is. I had been dreaming of going to Batanes for so long, but the prohibitive cost of the flights prevented me from doing so. It was only when I had gotten hold of return tickets for only P2,700—dirt cheap compared to the regular P9,000-P17,000 of other airlines—that I was finally able to go. It was then I learned that, yes, it is possible to travel cheaply in Batanes! 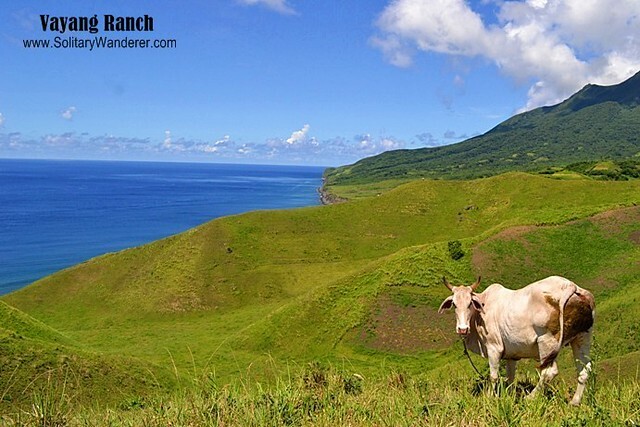 Most families own cattle in Batanes. Batanes is the smallest province in the Philippines. It is composed of 10 islands and islets (some locals say it’s actually 11 islands), only three of which are inhabited: Batan (where Basco the capital is located), Sabtang, and Itbayat. Locals bring their cow to pasture in some of the islands; others, especially those which are mountainous, remain empty even of cattle. It was early morning when I arrived in Basco and met up with Ate Fe of Marfel’s Guesthouse, having contacted her only 30 minutes before my flight’s departure. She connected me with Ryan Cardona, a guide with the Batanes Cultural Travel Agency who had a tour scheduled that day. After a heavy lunch of fresh seafood and fern salad, off we went to begin our tour of Northern Batan Island. The lovely Tukon (a.k.a. Mt. Carmel) chapel in Basco. First off in our itinerary was the Rolling Hills of Vayang Ranch. The view was quintessential Batanes—undulating hills upon hills of green as far as our eyes could see, amid the clear blue of the summer sky and the calm waters of the ocean. There were no other tourists; there were no other people, actually. We just saw cattle grazing, standing on the almost-non-existent paths on the side of the hills. We wondered why they didn’t topple over and roll down. For the ultra adventurous, it would be a perfect place to ride a Zorb ball! Bianca taking a picture of Mt. Iraya. From where we were, we could also clearly see Mt. Iraya in the distance, the clear weather giving us a good look of its peak. According to the guide, it is actually a dormant volcano and is a good destination for trekkers and mountain climbers. If I had more time in Batanes (this phrase is really starting to get old! ), I would have gone hiking there. The lovely rolling hills of Vayang Ranch. 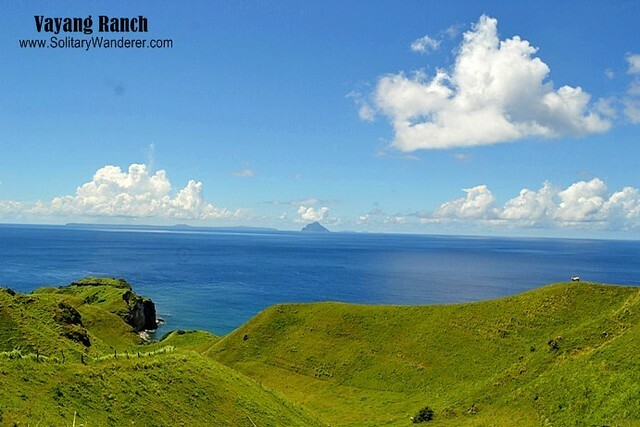 Our guide also said that we were lucky to have chosen to visit Batanes when we did. During the peak months (around April-May), we wouldn’t have been able to take pictures at our leisure because there would be too many people waiting for their turn. For myself, I was just glad the weather was perfect! Our next stop was the Japanese Tunnel. The Japanese arrived in the province during the second world war, in 1941. 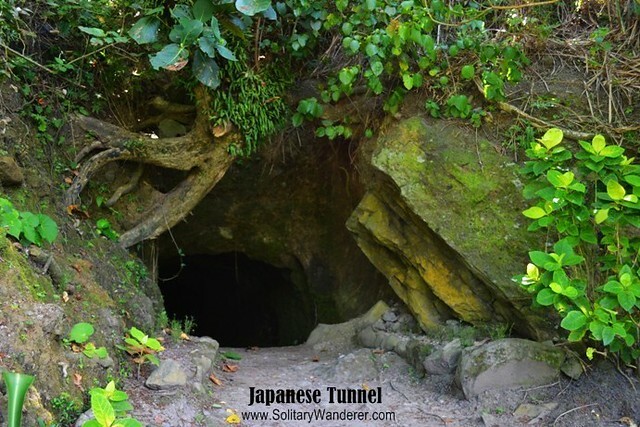 They destroyed the airport and the communications tower in Basco and hid from the Ivatan resistance and the Americans in this tunnel. It reminded me somewhat of Cu Chi Tunnel in Vietnam, but it’s much bigger. We looked at a few chambers, including “rooms” for injured soldiers, but eventually went back to the road after a few minutes. The entrance to the Japanese tunnel. It’s pretty dark there, though, and if it rains, it can get quite muddy. If you’re claustrophobic or hate getting mud on your shoes, you can miss out going inside. 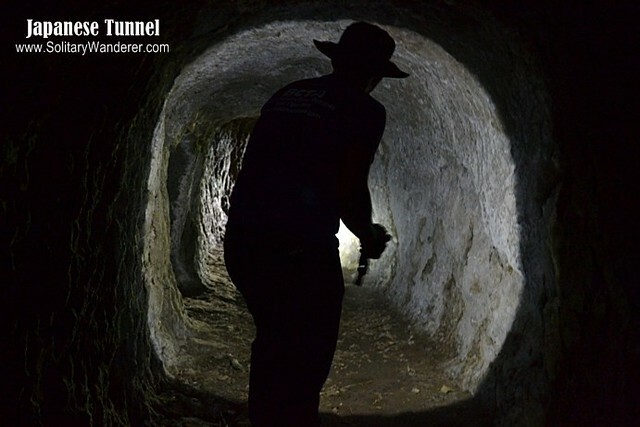 We didn’t explore the tunnel much. The guide said there was a path going down, but that meant crawling in some places. As our group wasn’t ready for that, we opted to go to the next destination instead, excited as we were to see more of the open spaces in Batanes. 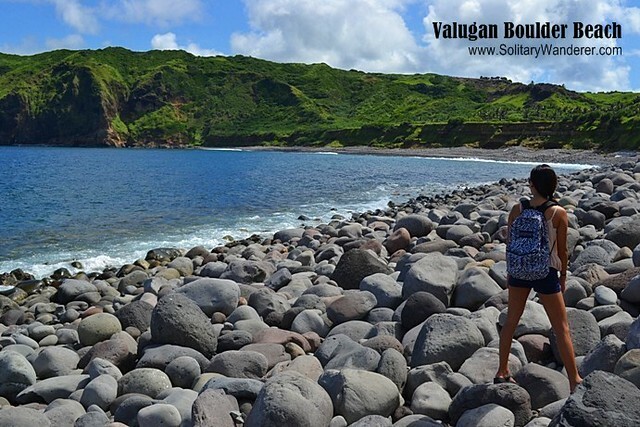 Another must-see in North Batan is Valugan Bay. The kilometer-long beach is full of boulders of different sizes, spewed from the eruption of Mt. Iraya in AD 400 (yep, that long ago!). You will notice that on the far right side of the beach, the rocks have become smaller; according to the guide, those were brought there over time by the waves. Boulder Beach is full of…well, boulders. I’ve brought the Traveling Stone to Batanes! If you have more time on your tour, or if you were on a DIY trip with your own vehicle, you can go there and swim, or even go there early enough to wait for the sunrise. 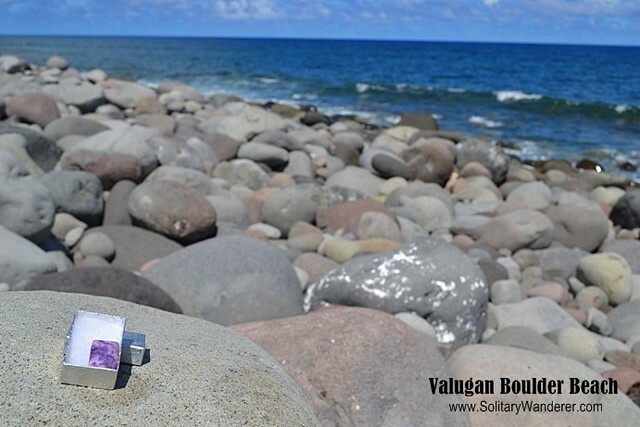 Valugan means “towards the east,” so you’ll be in the perfect spot! We went to a few more spots in north Batan; we went inside the Mt. 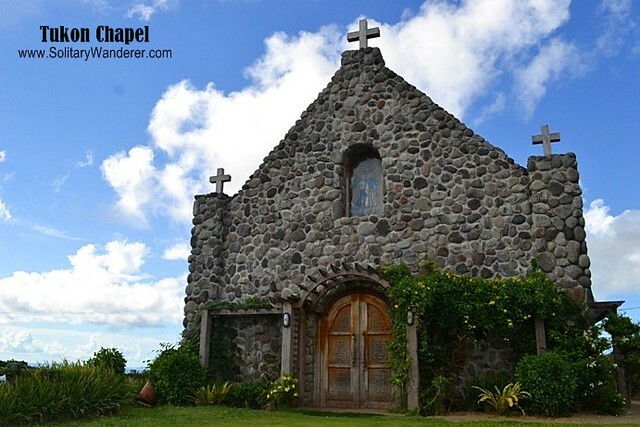 Carmel Chapel, a beautiful stone church with roof made of red bricks. The colorful murals inside make it deserving of a separate blog post altogether! We also went to the Philippines’ northernmost PAGASA station in Tukon, which has a really wonderful view of Mt. 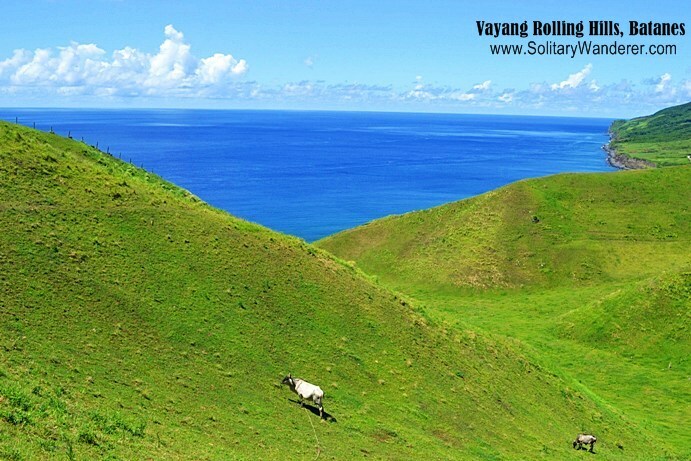 Iraya and the rolling hills of Batanes. It has a good view as well of the home of artist Pacita Abad, which is now the most expensive hotel in Batanes. We ended the day going to Naidi Hills to watch the sunset. The Basco Lighthouse at sunset. Naidi is an old Ivatan settlement. A wireless telegraph facility there was destroyed by the Japanese during the war, leaving it an empty hulk of a building. 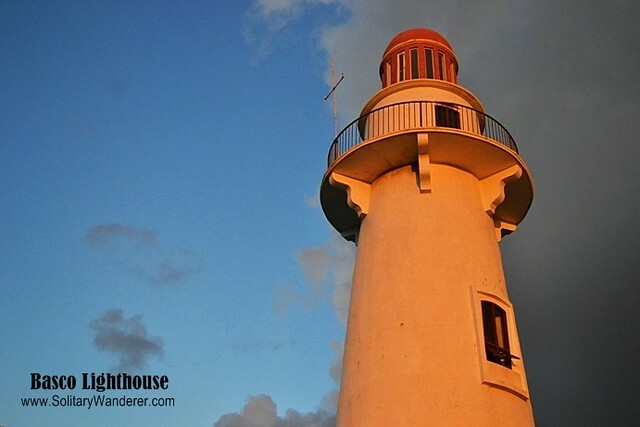 The first lighthouse of Batanes was built here, and if you’re with a special someone, you can order dinner at the Bunker Cafe just in time to watch the sunset. The North Batan tour takes only 5 hours, or less, if there are no other tourists which can keep you waiting for your turn to take pictures. It overloaded my senses a bit, which was not surprising since everywhere you look in Batanes, you see beauty. The restaurant in Naidi Hills, just below the Basco Lighthouse. Look for a guesthouse / homestay / hotel in Batanes here. Hi! Im interested to visit batanes, im wondering about the rate you paid formthe tour? Can’t seem to find it in your blog. Hope you can tell me so i can fit it in my budget! JUNE lang ba talaga pwedeng makapagBatanes? Were planning a trip like oct or nov. Is it good pag ganun ang time ng travel? Hey Aleah, I’m from India and I’m planning to visit Batanes during my third visit to Philippines. How many nights do you recommend I stay there? Can we see all the island has to offer (photography-wise) in 3 days, 2 nights? Or do you recommend a minimum 4 days, 3 nights? I’m on a tight schedule in the 21 days I plan to stay in Philippines. That’s why I ask. @ Emerlie: I was charged P1,000 per day. But remember, it depends on how many you are in the group. 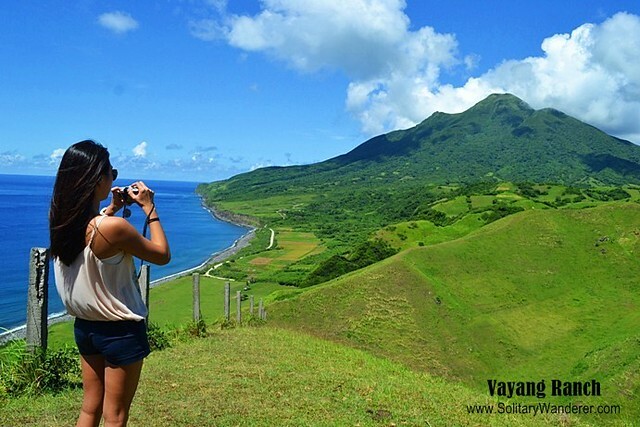 Don’t forget to check out my other posts on Batanes! I would like to ask kung magkano ang charge ni mr. Ryan nang sumama ka sa group nila? Ilang araw kang sumama sa group nila? Thank you po. Pupunta po kc kami ng friends ko sa batanes. We are starting to make out itineraries. Eh we are only 4 persons. @ JManzano: Thanks for your tips! Hopefully my readers will take note so they can make the most out of their Batanes trip. @ Grace: If you have a choice, take both tours! If not, I recommend South Batan. I will publish my post on it later this month, so stay tuned! Hi. Would like to know, if we were to choose between a north batan tour and a south batan tour, which would you recommend? Thanks. @ Tina: It varies, depending on how many you’re going with. Lowest is I think P1,000 or P1,500 per day, up to P2,000. Best to book the accommodation and tour separately, as travel agencies can really charge a lot. Have you checked out my post on where to stay in Batanes? 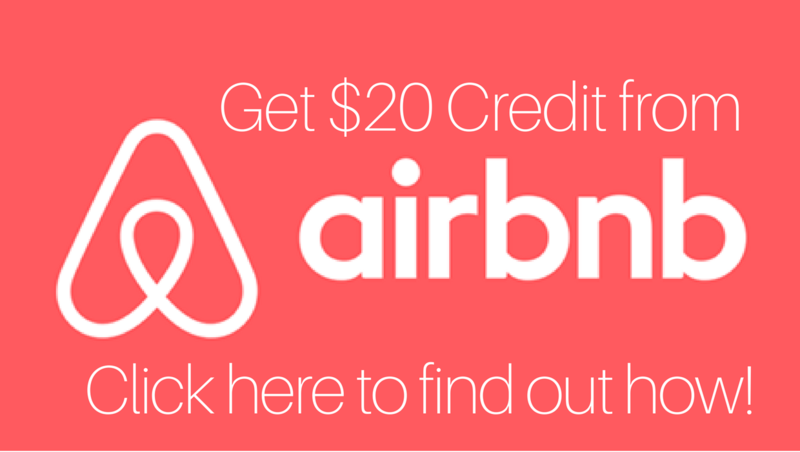 It’s very affordable! I really envied you for just spending less than Php8K for this trip…That’s a big WOW! I’ve been dreaming of going to Batanes as well, and finally I was lucky enough to book a flight in May next year. As early as now I’m planning for the tour. I already browsed all the packages(accomodation and tour packages) and find it too expensive. I wonder how much did you spend for the North Batan, South Batan and Sabtang Tour with Ryan. This will give me an idea if I will get a package from hotels or not. Thanks to you. God bless! @ Apol: Yeah, I was really lucky when I went there. Perfect everything! 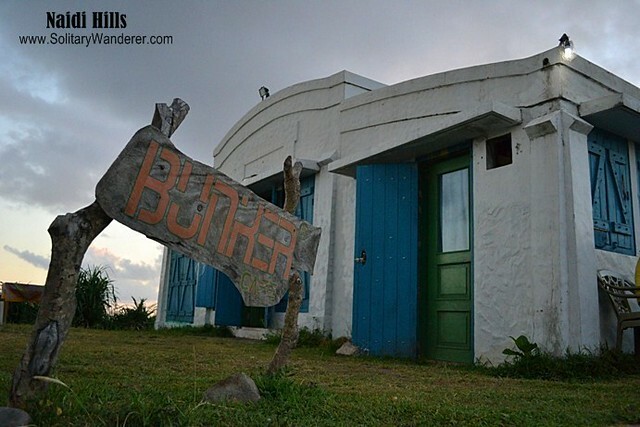 Would love to have dinner at the Bunker Cafe and wait for the sunset too!! Wonder when we can go. The weather was perfect when you went, blue skies!! I would love to go here. Such a beautiful place. @ Kurisu: Yes, when you have the opportunity to go to Batanes on the recommended months, do go. It’s breathtaking! WOW! Nice place, Nice Photos, was torn between Baguio-Vigan-Laoag or Batanes for my december trip, but I think I know now what I will choose, hehehe. Thanks. @ Jitaditya: Yes, it is! @ Frugal Expat: It’s really very beautiful. Wow, it seems like a beautiful place to visit. incredibly verdant. in the bucket list. @ Marisol: I’m not a good photographer; if you go there, you’d take way more beautiful photos. It’s a really, really lovely place! @ Mariane: I got lucky I guess. I doubt if I can buy tickets that cheap again. I’d love to go to Batanes. Your lovely photos are so inviting; they make me want to go even more. I hope to get there next time I visit (which is always too little time with too many places and way too many relatives to see:) Thanks for all the travel tips and I’m sure they’ll come handy when I eventually get there. Really enjoyed the photos, especially of the verdant rolling hills and the light house. @ Cat: I can only imagine. I would really love to go to Scotland someday! I love the photos – it almost looks like Scotland! Just beautiful and SO green it hurts my eyes! Great to catch up with the stone again – and look forward to seeing where it ends up next! @ Bianca: My country is very beautiful, you’re more than welcome to visit! Really dying to go there *sigh* I’m hoping there will be a fare sale by the time I get to visit Pinas again. Such a beautiful place! I haven’t made it to the Philipines yet but hopefully soon. @ Joe Staiano: 75 countries?? I am SO envious! The traveling stone is part of a pair which goes with travelers. It has been passed on from one travel blogger to another. It originated from Canada, went to someone in Scotland, then it was sent to Red Nomad Oz in Australia. Red sent it to me (Philippines) and I brought it with me to India and in my travels in the PH. 🙂 Post about that coming up soon! Hi, I enjoyed this post! 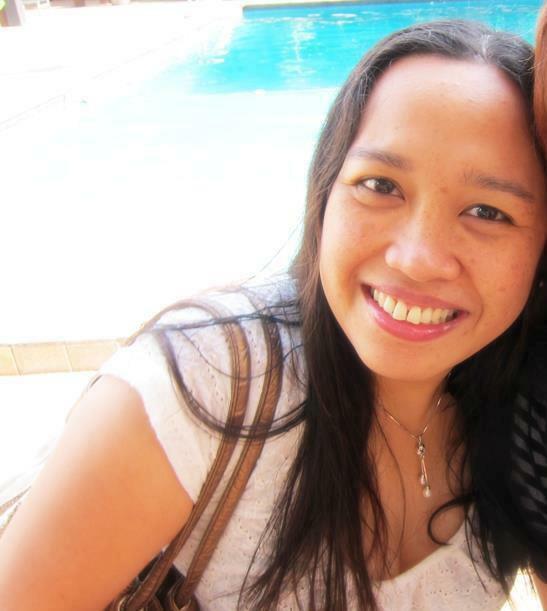 I’ve traveled 75 countries, but NEVER to Philippines… yet. But do tell… what is a TRAVELING STONE ??? 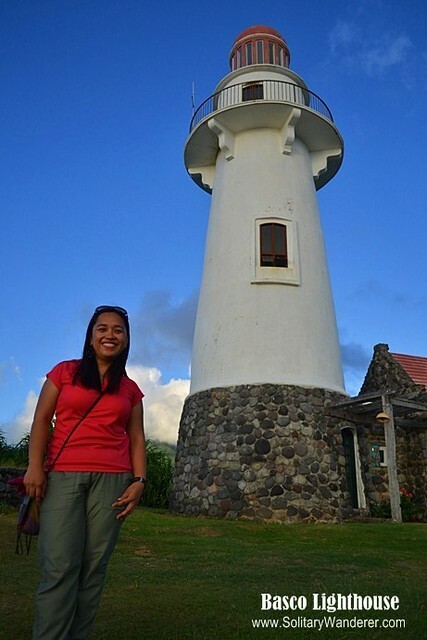 @ Pramod: You’re very welcome to include Batanes in your bucket list! It deserves to be there! @ Jeffrey: Thanks. Go na! It’s affordable now with budget airlines going there. 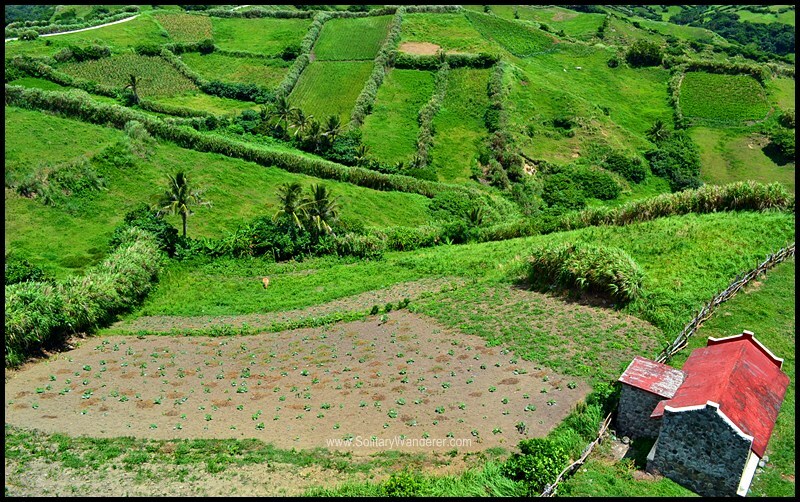 oh my batanes … dream ko rin maka pag Batanes 🙂 Ganda ng mga shots Aleah! Batanes seems like a heaven on the earth ..These images have made me speechless and i’d like to visit this place once before i die. @ Jessie: Yep, it’s highly recommended! what an incredibly beautiful place. i’d LOVE to visit! @ Jek: Make sure to go in June. The weather’s wonderful and there aren’t so many tourists there! @ Salika Jay: It *is* paradise. I’ll go back there again and again, budget and time permitting. Batanes look like a paradise. Lush green and blue skies everywhere you look. Seems like the perfect place to take it slow and enjoy life. Beautiful photos! Love the picture of sunsets at Naidi Hills..